In 2010, the Deepwater Horizon explosion resulted in the largest accidental marine oil spill and biggest environment disaster in U.S. history, as well as the death of 11 people on the rig. Hollywood soon saw that the heartbreaking struggle of those involved was rife for cinematic adaptation, especially since the rig had such a sensational name. Mark Wahlberg and Peter Berg have spent the last few years working tirelessly on bringing this story to life. We now have our first teaser trailer for Deepwater Horizon and it looks as though their efforts have paid off. I’m a big fan of this teaser trailer. 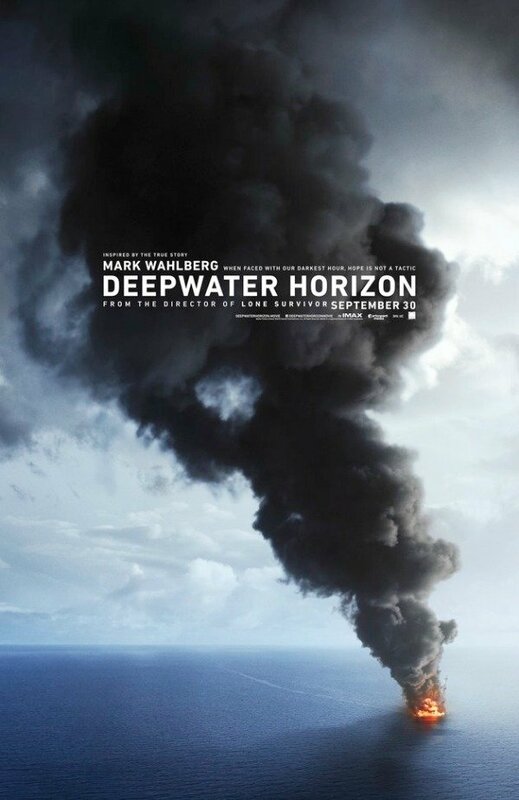 Peter Berg and his creative team don’t waste any time in getting to the humanity of Deepwater Horizon’s story, showing us Mark Wahlberg’s Mike Williams at home with his wife, played by Kate Hudson, and his young daughter, which will drive the story forward during the actual film. The daughter endearingly describes what Mark Wahlberg’s job consists of in the simplest terms, using only a Coke can, honey, and a pen. But she inadvertently describes just how dangerous her dad's profession is, as well, in the demonstration. The fact that she compares Mark Wahlberg to Dora The Explorer, which I am guessing is the first time that’s ever happened, makes it all the more worthwhile. At the same time, the trailer consistently slices to the increasing tension and issues on the rig, while also giving us a sneaky peek at Deepwater Horizon’s rather stunning and delightfully well-rounded cast. You want old and dependable then you’ve got the titanic acting powerhouses that are Kurt Russell and John Malkovich. Meanwhile there’s also the up-and-coming prowess of Dylan O’Brien and Gina Rodriguez, and the good natured vibrancy of Ethan Suplee. Here’s my bold prediction regarding Deepwater Horizon: Ethan Suplee will be the first to die. I can almost guarantee it. In fact, I’m going to guess that Deepwater Horizon is going to mirror the goings on in 1998’s Armageddon very closely. Except that it won’t be set on an asteroid and won’t include an Aerosmith song. Which is too bad. For those of you that haven’t seen it, Deepwater Horizon’s impressive first poster also gives a good indication of the scale, isolation and size of the disaster. Directed by Peter Berg, Deepwater Horizon will almost certainly be low on subtly but high on action, and it will finally be with us on September 30.